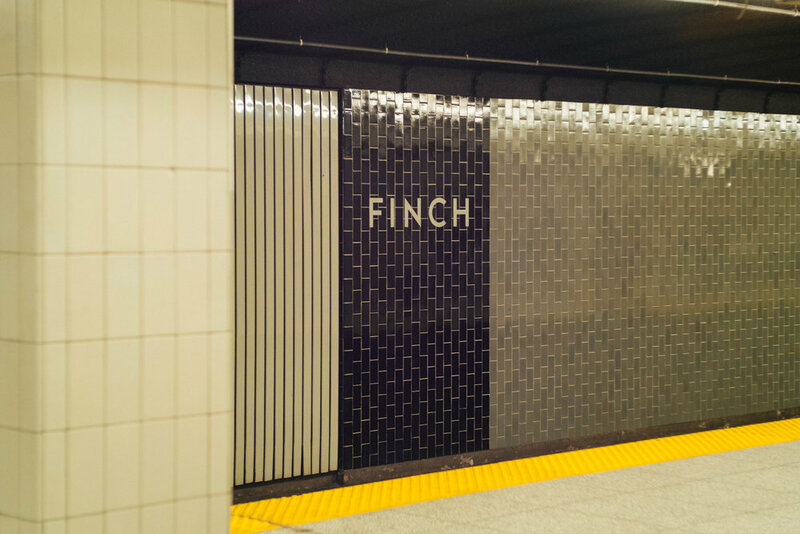 Finch Station is the dimly lit, bustling station at the North-East end of the Yonge-University Line. This was the very first station where I noticed a distinct rhythm of passengers. There was a constant stream of passengers when I first arrived at the station. Every stairway and escalator was filled with people trying to make their connection between the train and bus platforms. 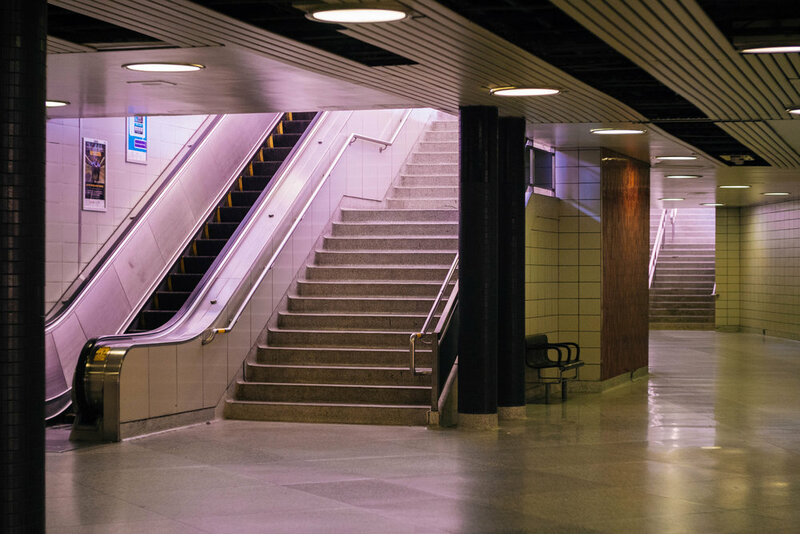 Everyone makes it to where they need to be, and all of a sudden the whole station feels very empty. The next station is North York Centre.